The 4th edition of the festival takes place from 2nd through 5th November at the terminal building of New Chitose Airport, Hokkaido,Japan. From April 17, the submissions for the Animated Short Film Competition will start for the 4th edition of the festival. Last year, the festival received over 1,200 applications for the competition and had about 31,000 visitors from all over the world for four days. We’ll wait your submissions. 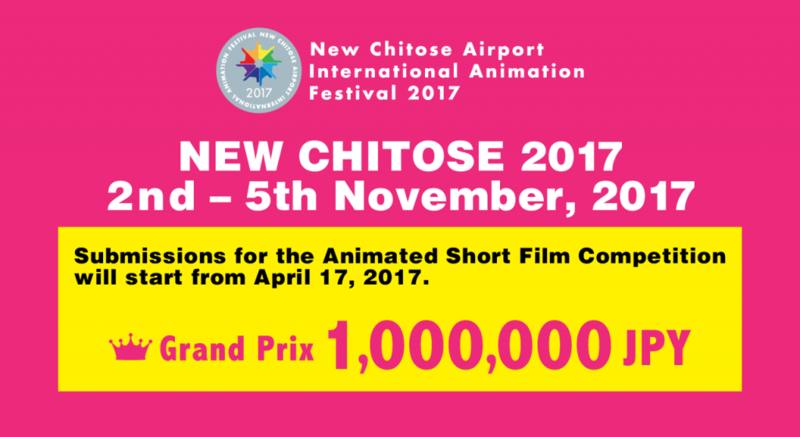 See you at NEW CHITOSE 2017!